This is the first book devoted exclusively to the analysis of the Nazis' radio effort against the United Kingdom during the Second World War. 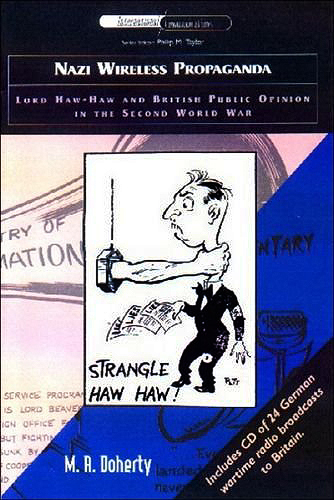 It traces the development of the German propaganda service and looks to erode the myth surrounding Lord Haw-Haw -the 'superpropagandist'. Propaganda is presented in context: the purposes behind it, the changing patterns, themes, styles, and techniques employed, and the impact upon the target audience and its morale. An analysis of the Nazi wireless broadcasts to Britain for the whole of the Second World War reveals a sophisticated and intelligent propaganda assault on the social and economic fabric of British society. In the end the British failed to succumb to the stupefying effects of Nazi propaganda and they traditionally congratulate themselves upon the national unity which immunised them against it. The author argues that this traditional view disguises a more complex, less appealing reality. Extensive quotation from the broadcasts is supplemented by an hour-long CD, with selections from twenty-four transmissions taken from different phases of the war. An invaluable teaching tool, the CD permits the distinctive accents, styles, registers (and sexes) of the hydra-headed 'Haw-Haw' to be fully appreciated in a way that transcription alone could never accomplish.